Windows and doors are favorite photo ops when I’m traveling, and I know I’m not alone. Welcome to Week 280 (6/2/2106) of Travel Photo Thursday. The end of the semester will dominate the next few weeks, so little time for anything else. This post will not be particularly wordy. I think that the beautiful windows speak for themselves. Enjoy! I loved the windows in Prague and managed to come away with several beautiful shots. These two I took in the Old Town, where it’s next to impossible to walk more than 30 seconds without taking a photo or two. Gorgeous symmetry! Prague is also really big on window boxes with lots of lovely details. 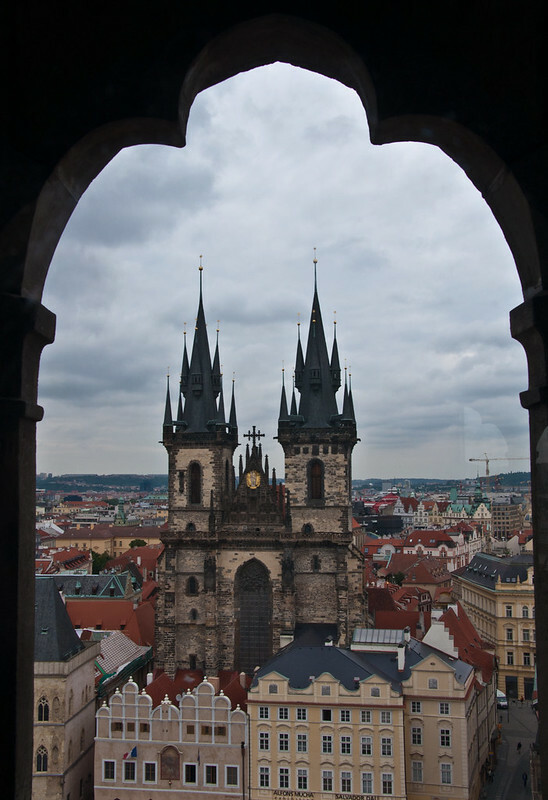 A perfect view of Prague’s Tyne Church through an open air window in the Old Town tower. 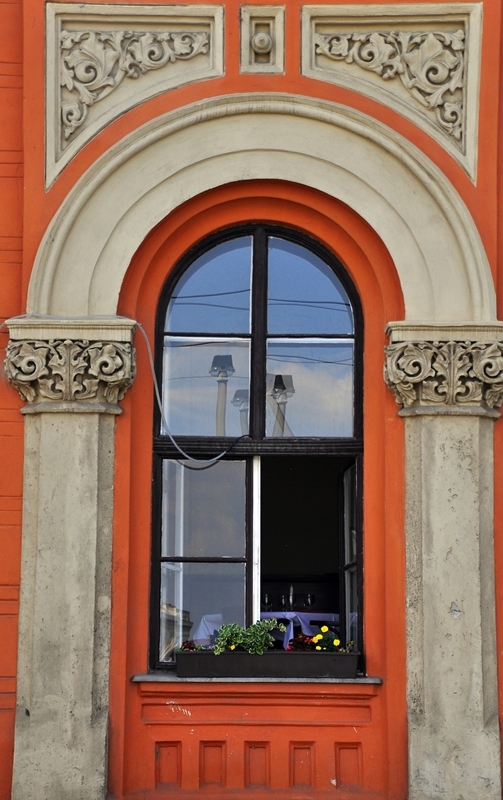 Budapest also offers up some beautifully detailed windows with flower-filled window boxes. 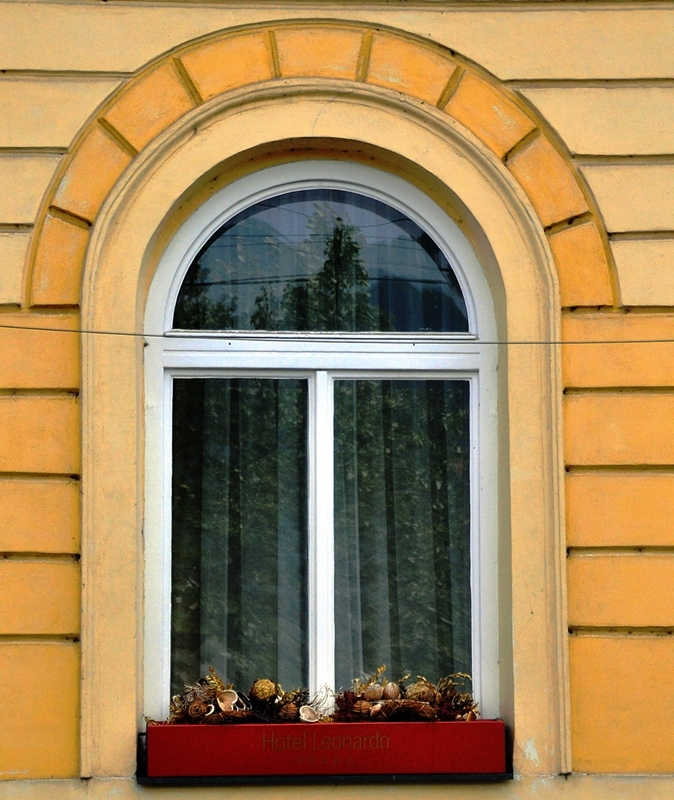 Mellow yellow in Budapest…love the shade! I wish we had shades like this here in Korea. What a perfect way to slay the heat! Gazing into Seville’s Alcazar garden through this beautiful grated window. 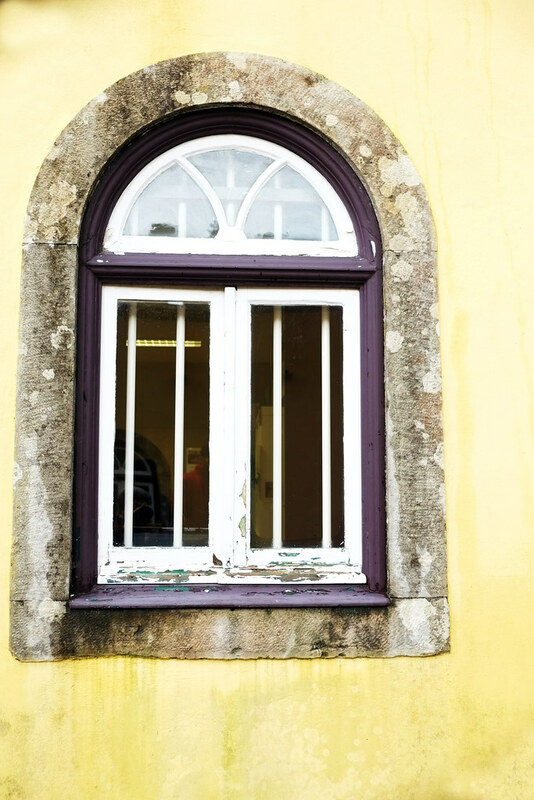 In spite of my day in Sintra, Portugal this past winter being cold, wet, and downright gloomy, I was able to find this lovely window. A gorgeous Lisbon window was crying to be photographed. Might not technically be a window, but there are windows in the door. 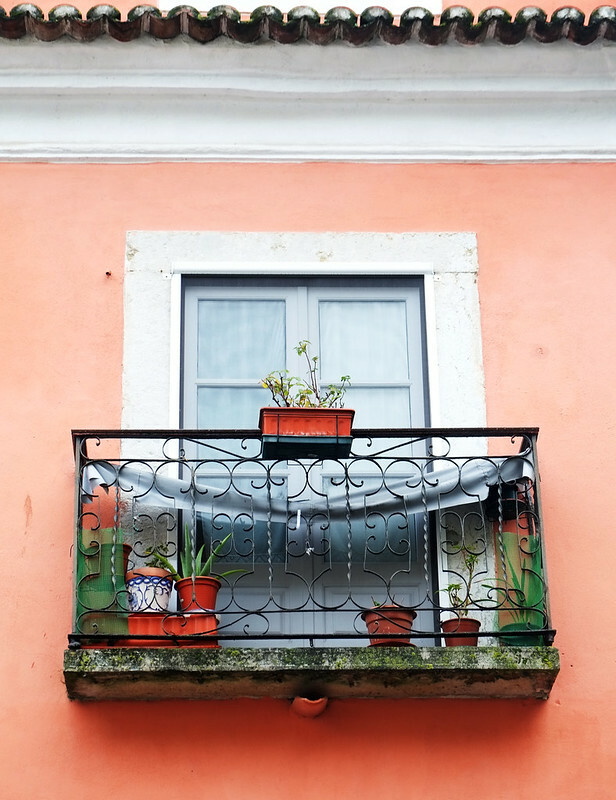 I gazed on this delightful little window balcony every day I was in Lisbon. Last but not least, here are two awesome windows from my city, Halifax. The first is the 1917 Halifax Explosion window, which will find at the back of St. Paul’s Anglican Church in the heart of downtown. There are numerous stories surrounding this window. Some say that the head you see is that of a sailor, while others believe this mysterious head belonged to the church’s minister. The Church is the oldest Anglican church in North America and the oldest building in Halifax. 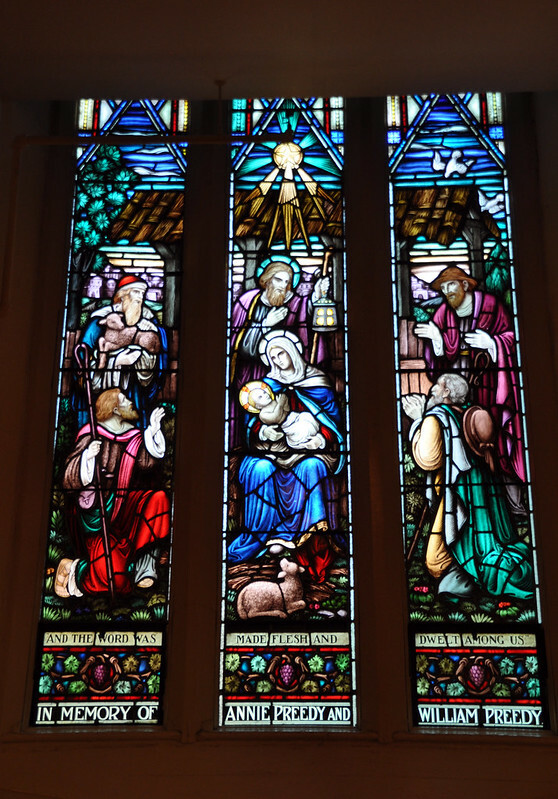 This stunning stained glass window can be found in historic St. Matthew’s United Church and just a short walk from St. Paul’s. I hope you have enjoyed this virtual window whirlwind tour. Would love to hear which shot you like the best, in the comments below. Loved the windows as I am one of those ‘door and window’ photographers as well! Hope this one makes it to where it should go and not into your spam file again. Your window collection is a good one. Hi Jackie! You make it!  I’m glad you like the collection. I have admired more than a few of your window and door shots over the years! Great window shots. I particularly like the Budapest one. I have a personal favourite window show of my daughter at the side of a window overlooking Trafalgar Square in London. Hi Donna! Thanks for stopping by. The Budapest window is one of my favorites as well. Your London window shot sounds very interesting, and I’m sure pretty. This is such a beautiful theme. I am inspired to create a post like this. Loved the stained glass window very much. Hi Indrani! I say go for the post. I would love to see your windows. Hi Nancie, We had shades like your Mellow Yellow ones, in our Airbnb apartment in Siracusa in Sicily and they were wonderful to pull down during siesta time. The Sicilian ones had little holes in them to let some breeze through. Hi Jan! The breeze holes are a novel idea! I like that. Love them all, Nancie. I even love the moss on the ‘not really a window’ window. Hi Marcia! The windows here in Korea are not particularly memorable, but I have taken a few nice door/gate shots over the years. I must have a look for them. Halifax has some interesting architecture, and I am going to pay more attention to windows and doors when I am there this summer! Hi Juergen! Thanks for dropping by. I’m happy to hear that you like my theme this week. I need to start a windows and doors board. I’ll have to have a look at yours, too! Love, love this post Nancy! I love to take pictures of windows and doors (I even have a Pinterest board dedicated to them). 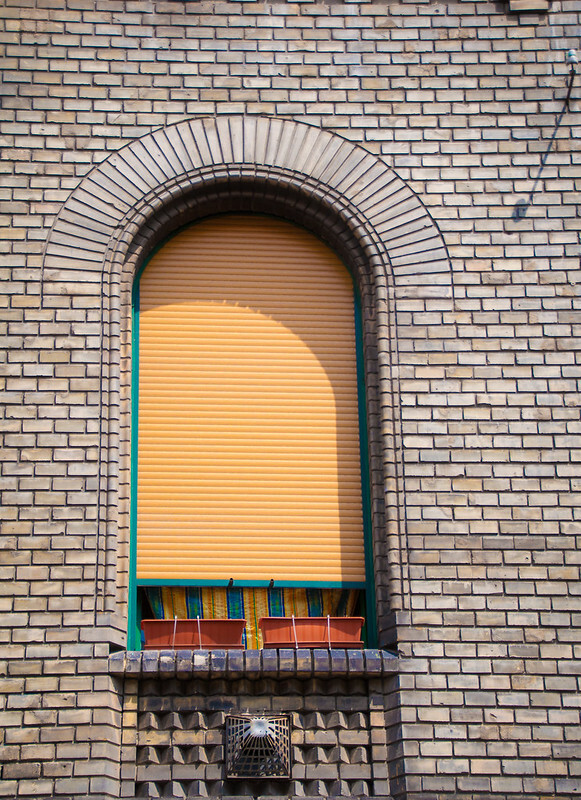 Sometimes, I identify interesting doors and windows in a place I am going to visit. In that way, I can stop by them during my visit. I take pictures of windows too, but even more of doors. I like your Alcazar picture best. It looks like such a peaceful, restful place to sit. Hi Rachel. That is a favorite of mine as well. I also have quite a collection of door photos! I love your interest in windows, it reminds me the door pictures everyone takes, but this is a refreshing point of view! My favorite window is from Lisbon, I hear wonderful things about the city and hope to visit someday soon. Hi Brooke. Lisbon has so many pretty windows and doors. It’s a beautiful city, and I’m sure you will love it! Love these photos, Nancy. I think my favorites are of the view of Tyne Church in Prague and the warm, apricot colors you captured in the Alcazar. I enjoyed the way so many of your windows frame views to elsewhere or are the focus themselves. Great grouping! Hi Anita. Thanks for your kind words. I love framing views through windows. The window just adds another interesting element. I love framing a picture through a window. Your shot of the church in Prague is fabulous! The details make the pictures. Great idea to take pictures of the windows. Truly windows to the world. I love it. I love these windows, especially the ones with the little balconies. – windows are like a peep into someone elses world. 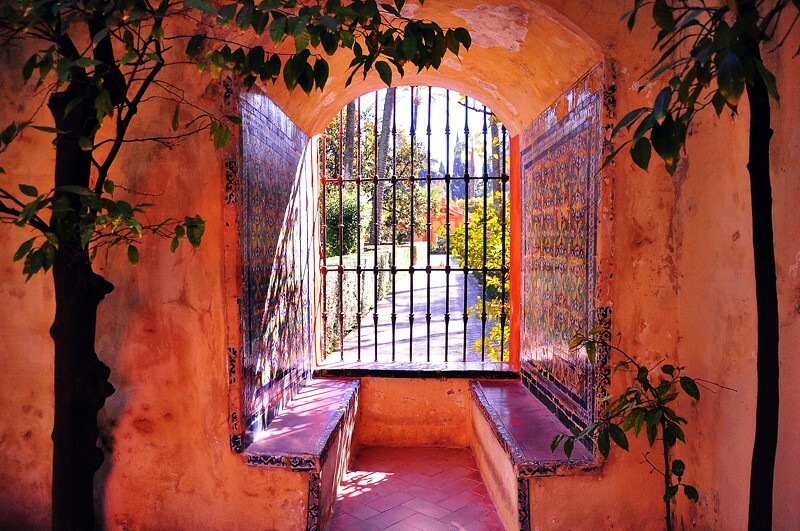 I think my favourite of this collection is – Gazing into Seville’s Alcazar garden through this lovely grated window. Happy travels. I particularly like how you framed Tyne Church in Prague. Glad to know that I’m not the only one who takes photos of “random” things like windows. It drives my family nuts.